Lana & I love Flag Hill Winery & Distillery. Why? Well, there are a few reasons. First, from a photography perspective, who wouldn’t love a backdrop of a beautiful vineyard with rows of grapes rolling up the hillside. The grape vines create amazing scenery for any photo shoot. The Wedding ceremony area is beautiful as well. it’s tastefully decorated and takes full advantage of the vineyard. The reception tent is located on the back of the main building and offers plenty of space for a large reception. Really, calling it a “tent” doesn’t do the reception location justice because it’s really a three-season room! Second, we love wine. 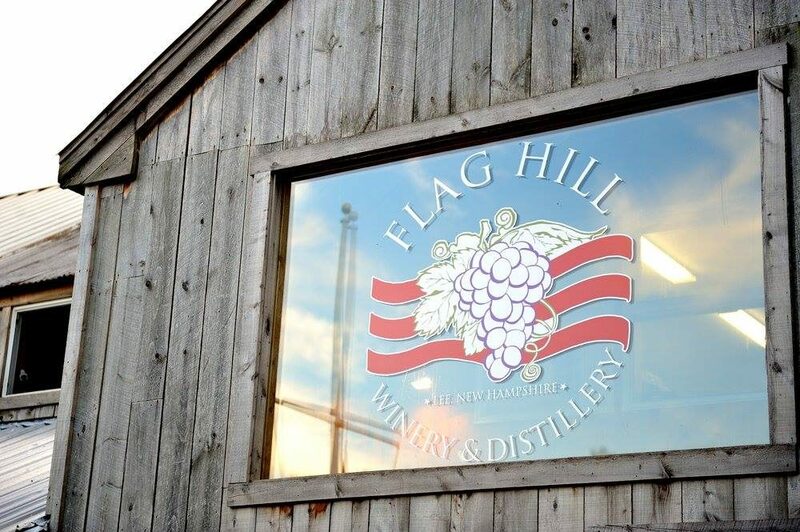 The spirits at Flag Hill are truly New Hampshire products. Every product produced by Flag Hill is special and of the highest quality. Lana & I attended a few Flag Hill wine pairings and we were both very impressed! Don’t think that New Hampshire can produce interesting wine? Well, you need to check out this vineyard & distillery! Third, the staff at Flag Hill is totally “white glove” service. They do everything to make your wedding ceremony and reception truly memorable for you and your guests. Everybody from the owner, the event coordinator and the staff are pleasant to deal with and really care about making your day great. 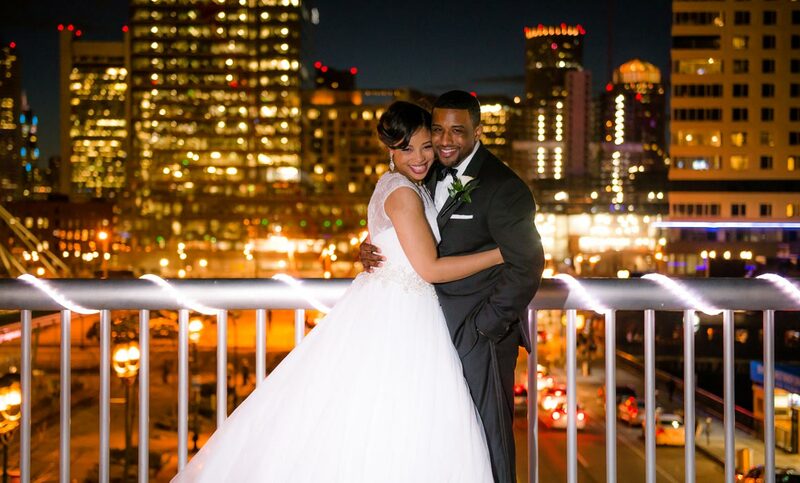 Lana and I shoot at plenty of venues, and Flag Hill is the top of our list for quality. So when Nick and Maggierose asked us to shoot their wedding, we were thrilled! Nick works at Flag Hill as the Vineyard Manager. I first met Nick one evening at Flag Hill where he was talking about the process of starting a small personal vineyard. He was loaded with information! It was clear to me that Nick was quite serious and knowledgeable when it comes to growing grape vines! The day I plant my own vines, I’ll definitely call Nick for a quick refresher course! Here’s a small preview of their wedding photos. 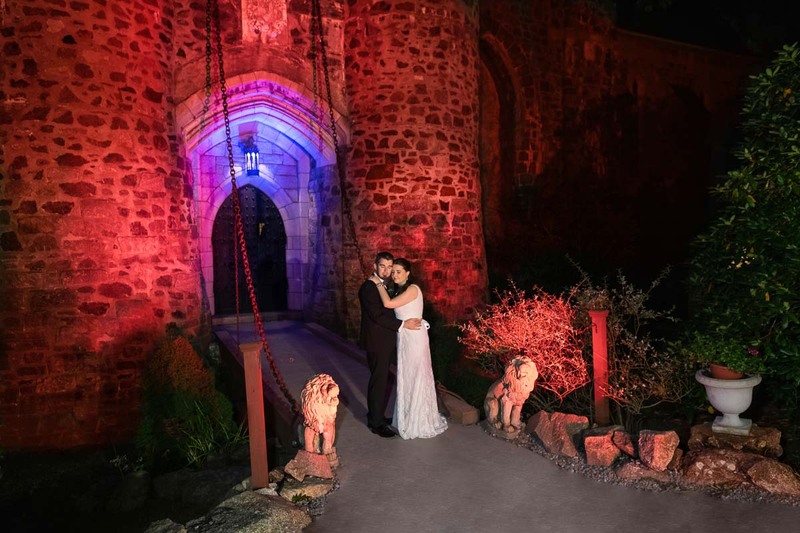 It was our pleasure to photograph Nick & Maggierose’s wedding! Interested in a Vineyard Wedding? 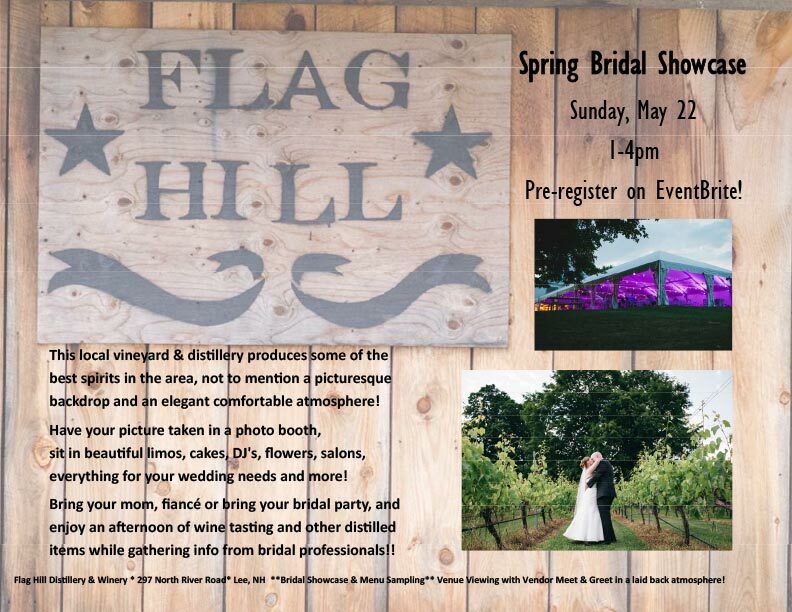 Our friends at Flag Hill are Showcasing their venue along with other vendors to make your Vineyard Wedding a reality! 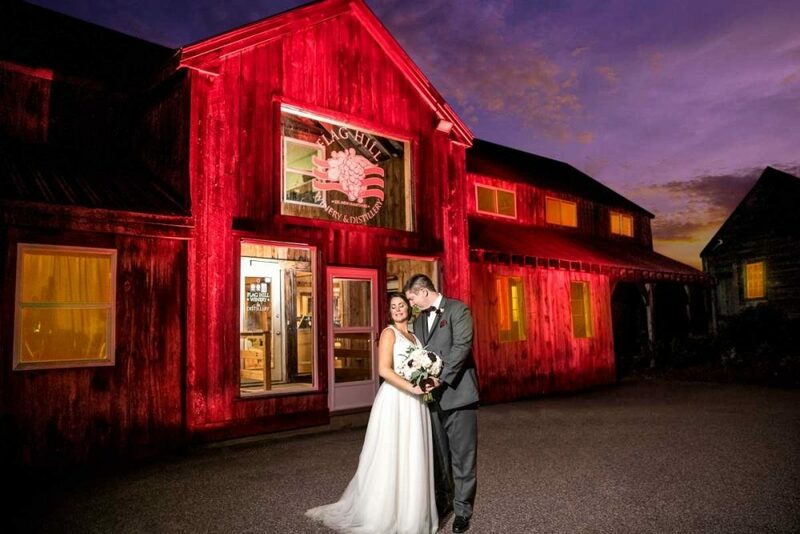 Flag Hill is the largest winery in NH with 14 beautiful acres of vineyard space surrounding a large elegant white wedding tent (close to the winery & distillery… great for photos), while meeting bridal industry professionals to help you plan your wedding from engagement! Meet Flag Hill’s Chef and taste menu items to start putting your menu together for your Flag Hill Wedding! 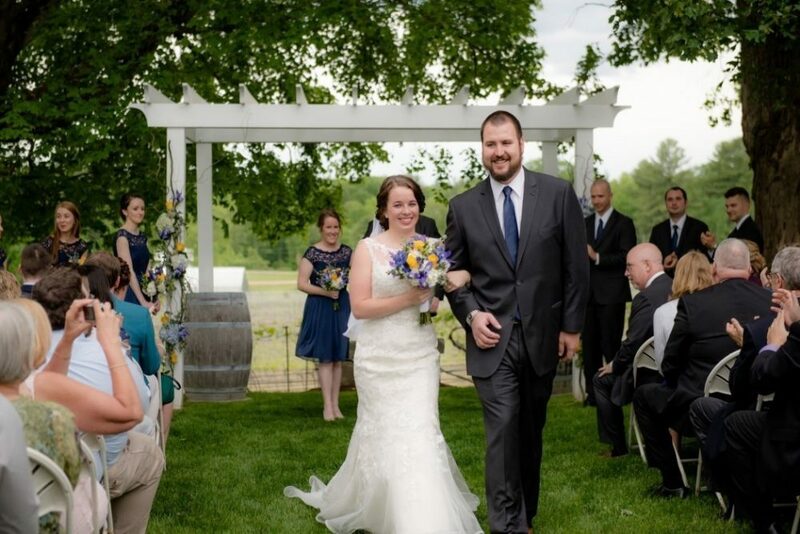 New England Weddings will be there to help showcase the premiere vineyard in New England! Visit their registration site to confirm the event!